This photo was taken from an unusual angle - the top of the Hamilton City Council car park in Knox Street. 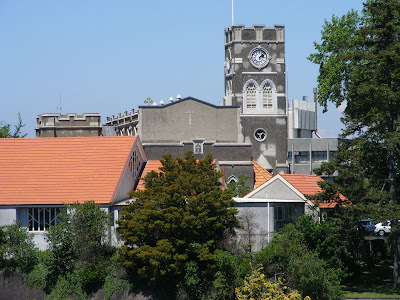 For those unfamiliar with Hamilton this building with the clock is the Anglican Cathedral and is the only building of its type in Hamilton. 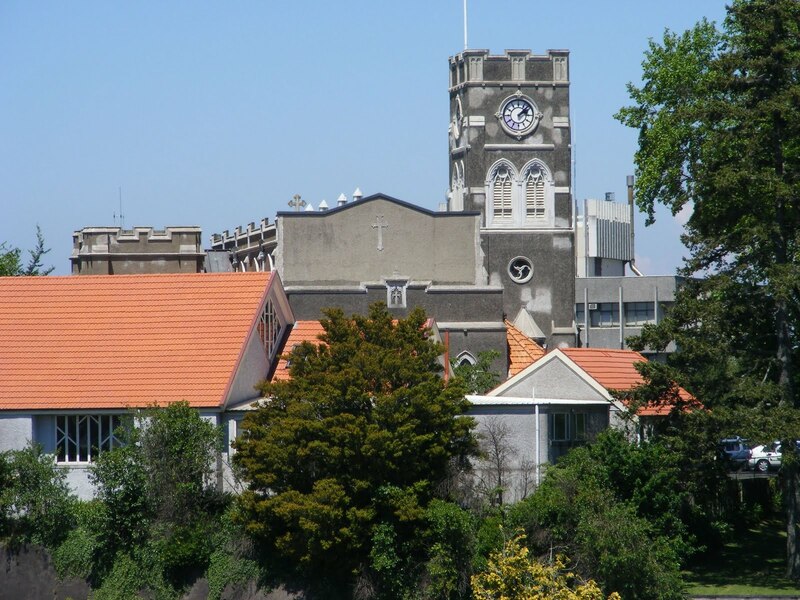 It is built on land generously given to the Church by local Maori in the 19th century, soon after Hamilton was settled by Europeans. Land nearby was a fort, originally belonging to Maori but taken over by the British Militia during the early Land Wars with Maori. The fort no longer exists.